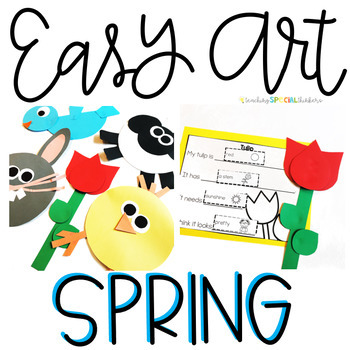 Included in this download are prep plans, easy print sheets, picture visual direction cards, whole page NO PREP step by step visuals to pull up on any device, differentiated writing pages for the 16 easy art activities (including type-in pages to create your own prompts or have students type their sentences). 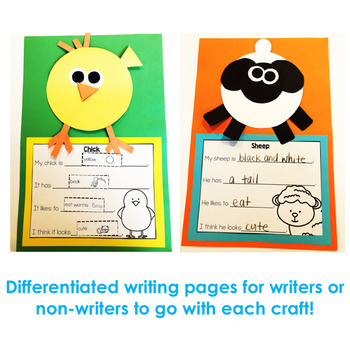 These activities are suitable for students with autism or special needs or an early childhood classroom with students that are still working on fine motor tasks and following directions. 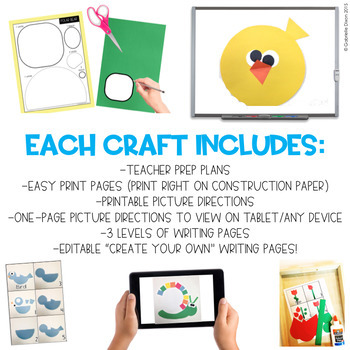 I use one of these activities for the month of April during our independent rotations. They are great for completing a task independently, following directions, and of course some fine motor practice! I prep all materials ahead of time and keep them in labeled manila envelopes. I print and laminate the picture cards and put them on a ring. Each day at the art center, I set up the materials like a task and have the students follow the direction cards to complete the activity. 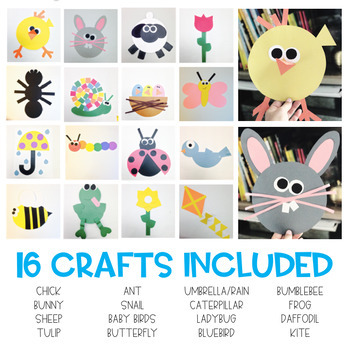 The idea is to have them be as independent as possible, so it is mostly just putting the craft together with a glue stick; however, you can make the activities easier or more challenging as you see fit.